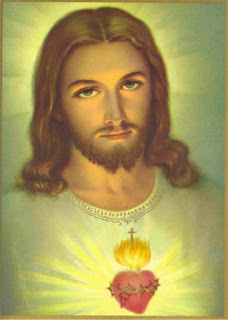 "...And I saw the river over which every soul must pass to reach the Kingdom of Heaven and the name of that river was Suffering...And I saw the boat which carries souls across the river, and the name of that boat was Love..."
June is the month devoted to the Sacred Heart of Jesus. St. Margaret Mary Alocoque, after being shown the Sacred Heart, was asked to spread devotion to it. 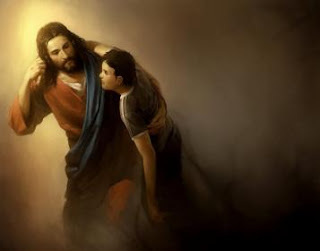 St. Margaret Mary was often visited by souls in purgatory and would recommend to families who had recently lost loved ones to pray Novenas to the Sacred heart for the release of their loved ones from purgatory. There's a beautiful site called Daily Pilgrimage to Purgatory where you can read more about St. Margaret Mary and her love for the souls in purgatory.